So. Its been three weeks. I have been saving most of the offseason content for the podcast lately because, well, I enjoy it more than writing and things are pretty slow. For those of you who listen to the podcast you may already know, I am looking for contributors to the site, hit me up. 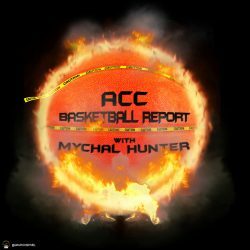 Almost all of the quality big men in the ACC have either graduated, transferred or are potentially declaring for the draft early. Seriously. Right now Elijah Thomas is the best big man in the conference. Now that is not a knock on the Clemson big man (I’m a fan Eli! ), it is just that he was probably 8th or 9th among his conference peers last year. Bonzie Colson (Notre Dame): A popular pick for ACC POTY before last season, Colson suffered an injury plagued senior campaign that cost Notre Dame a potentially special season. Martinas Geben (Notre Dame): Let us stick with the Irish for a moment. In the absence of Colson, Geben came alive during his senior season and posted career highs across the board, averaging 11 points and 8 rebounds for the Irish. Omer Yurtseven (NC State): This is a strange one to me. The Turkish big man was once seen as a one and done. He then came back for an impressive sophomore season and then left the Wolfpack to “either transfer or play professionally.” Everyone assumed he was heading the professional route. Everyone was wrong. Instead, he landed at Georgetown to play for one of the best centers in the history of basketball. Isaiah Wilkins (Virginia): The ACC DPOY finally exhausted his eligibility after 17 years with the Hoos. He may not have been the prototypical center but he could certainly D-up the big men throughout the league. Ben Lammers (Georgia Tech): Some called him the Laminator, I preferred Vanilla Godzilla. The Yellow Jacket’s offense revolved around him while they also leaned on him for rim protection. This loss, along with Colson, might be the most costly to any program in the conference. Doral Moore (Wake Forest): In a somewhat surprising move, Moore elected to hire an agent and forego his senior season. He is a defensive dynamo and a monster on the offensive glass but I am not sure about his conditioning. Wake better hope Olivier Sarr makes a big jump during the 2018-19 season. Ike Obiagu (Florida State): The 7′ block machine is transferring away from FSU after one season. His offensive game needed work but he is a terror on the defensive end for opposing big men. Look for him to land somewhere in the SEC. Marvin Bagley III and Wendell Carter Jr (Duke): No explanation needed here. We all knew they were always OADs. Ray Spalding (Louisville): If you watch the ACC you knew it was only a matter of time before this guy went pro. He had the game and the athleticism that really fit in today’s NBA. Anas Mahmoud (Louisville): The seven foot Egyptian big man was the anchor of Louisville’s half court defense, averaging three blocks per game. He showed flashes on the offensive end but never really made a huge jump there. Regardless, his value will be tough to replace. Lennard Freeman (NC State): The definition of a beast. ‘Nard was a player I got to see in person this year and the man is made of brick and mortar. Opposing bigs won’t miss mixing it up with him on the glass next year. Matthew Moyer (Syracuse): The redshirt freshman transferred to Vanderbilt after a hopeful but ultimately underwhelming stint with the Orange. A change of scenery might do him well as many believe he has a lot of upside. Dante Grantham (Clemson): His career was cut short by a knee injury just when he was starting to put it all together. As fans we were all robbed when his season and ultimately, college career, ended prematurely. Ryan Luther (Pitt): Say what you want about this kid. In the end, you’re a player if you’re averaging a double double. Luther was injured this season and then secured his release from the program when Kevin Stallings was fired. Since then he has moved on and intends to transfer to Arizona. Those are definite departures. Those players will not be back. But we are not finished yet my friends. Luke Maye (UNC): The former walk-on jumped into the early entry pool just before the deadline, presumably to get some feed back on his pro prospects and not to actually go pro. I fully expect him to return to Chapel Hill for his senior campaign but Tar Heels fans would surely have preferred he hadn’t tested the waters to begin with. Dewan Huell (Miami): I have no idea what to think here. He started the year really well last year but kind of tailed off. He has the athleticism and the game to play in today’s NBA eventually but I am not sure he is quite ready to jump yet. Unlike Maye I have no clue. 51% in favor of returning. Deontae Hawkins (BC): The Illinois State transfer is petitioning the NCAA for a sixth year of eligibility. If he is granted the additional season and Ky Bowman returns to school, look for the Eagles to make their first NCAA Tournament since 2008-09. That is a ton of talent, and given the way some of the mid to lower tier teams are looking in the 2018 recruiting classes, it could get ugly. There are a lot of good players coming in but a lot of the big men are developmental. It is going to be interesting to say the least. There will certainly be some surprises in the league next year as assistant coaches earn their money developing big men into quality ACC players.